"Instruction sets" on the History of the Signal Corps and its predecessors, each includes a short movie on DVD (15 min. ), a compendium of references and a lecture lay-out for presenting the subject. Lectures and presentations to IDF officers and soldiers. 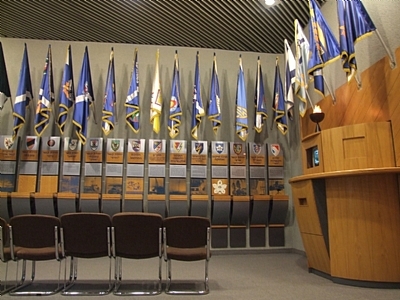 Exhibits of C4I apparatus and hardware displays (with explanations) in IDF Museums. Memorial events related to the "Signal and C4I Corps", including quizzes and ceremonies. Lecture-meetings of the members of the Veterans Club. Col. (Res.) Uri Goren, On Both Sides of the Crypto, 2008.